The world of Social Media has changed over the years. What has its roots in simply befriending someone or following a brand has turned into a multifaceted and ever-evolving, incredibly powerful marketing tool. 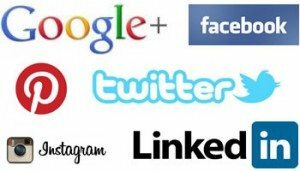 This entire article is dedicated to Social Media and its place in digital marketing. Before we dig into the nitty-gritty details of Social Media Marketing and Social Media Management, let me first give you some context. There are hundreds of small, local businesses in North Canton and the surrounding area. 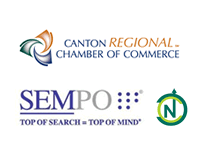 And for every business that calls North Canton home, there are tons of digital marketing solutions. One of the many digital marketing solutions, often misunderstood and underestimated, is Social Media Marketing. In this article series, I want to help answer the question that most any business owner asks at one point in time:Should my local, small business be on social media? And believe us when we say that we completely understand the hesitancy in leaning into a Social Media Marketing campaign. To be real, we resonate with the fact that some days it is difficult enough to sort through your inbox entirely, let alone worry about what somebody Tweeted at you (Wait, you don’t know what a Tweet is? That’s okay. I’ll get to that). Not only that, but why would a business owner wish to give unhappy customers a public platform to openly bash his or her business? We will be discussing these questions and many more throughout this massive piece on Digital Marketing and Social Media. How does this convert to sales? Well … you won’t know how Old Spice keeps you dry and smelling good during your workouts, but you have laughed at their commercials – and that formed a relationship. That relationship is likely strong enough that you will at least give their product a sniff when you spot it in the shopping aisle … and getting the product in your hands is half the battle. Engaging TV spots are only one example. Channels across the board have made the marketing shift to connecting with their audience emotionally and relationally. Another swing on the marketing pendulum, particularly with the introduction to Social Media Marketing, is Come & See versus Go & Tell. In years past, marketers stood their ground, be it in brochures, billboards, newspaper ads, TV commercials, or what have you, all in hopes that the right person will see the right message for the right product at the right moment. Business owners would pay for these efforts and sit with their fingers crossed waiting for the phone to ring, waiting for someone to come and see the great products that they have to offer. Businesses now have the ability to reach their target audience right where they are at, whether they are in their bedroom on their smartphone or passing time in the library while they wait for class to start. Thanks to digital marketing as a whole, but especially mediums like Facebook and Twitter, somebody who manages a business can uniquely target the most relevant audience to them and only pay for impressions that are worthwhile. Those connections with their highly targeted audience can be social, shareable, engaging and connecting. Plus it takes the legwork out of their audience because the business is going to them rather than having their potential buyers seek them out. Sanctuary Marketing Group has a dedicated team of Social Media professionals who are ready to help you with the advice, research, testing, development and implementation of a social media strategy. Contact us today and request a quote or call (330) 266-1188.